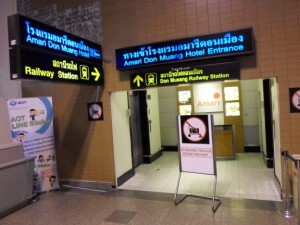 Can I take an express Train from Suvarnabhumi Airport to Don Muang Airport? Unfortunately at the moment the answer to that question is "no". In the future the Airport Rail Link which is now connecting Suvarnabhumi airport (สนามบิน สุวรรณภูมิ) to the Bangkok city centre will be extended to Don Muang airport (สนามบินดอนเมือง) and to the new Bangkok Train Station in Bangsue. We will post information about it as soon as the Airport Rail Link in between the two airports will open for service. 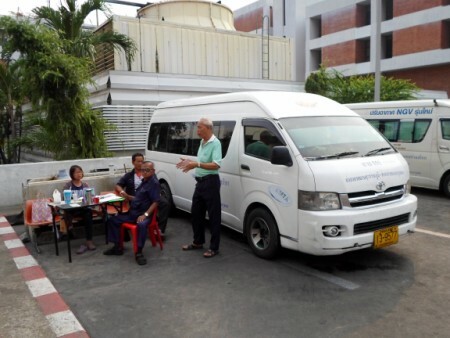 At the moment if you need to travel from Suvarnabhumi airport to Don Muang airport for a connecting flight you will have to take either the free shuttle bus or a BMTA bus / public van . 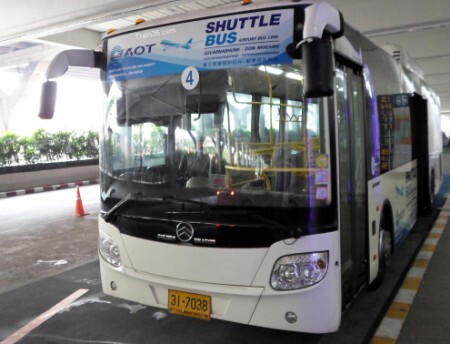 There is a free shuttle bus service in between the two Bangkok airports. This is a non-stop service which runs from 5 AM to Midnight. It takes the expressway and the travelling time is roughly 1hour. You need to show your air ticket and passport prior to boarding the shuttle bus. From 05.00 to 08.00 / 11.30 to 16.00 / 19.30 to Midnight buses depart every 30 minutes. From 08.12 to 11.00 and 16.12 to 19.00 buses depart every 12 minutes. 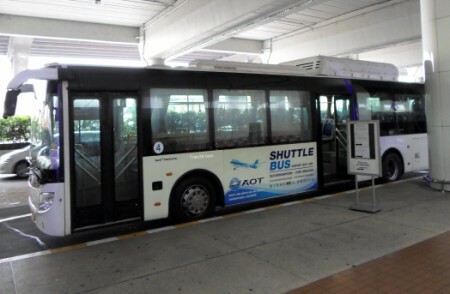 At Suvarnabhumi airport the free shuttle can be boarded on the 2nd floor between Gate 2 and 3. At Don Muang airport the free shuttle can be boarded outside the International Terminal 1 on the 1st floor between Gate 4 and 5. 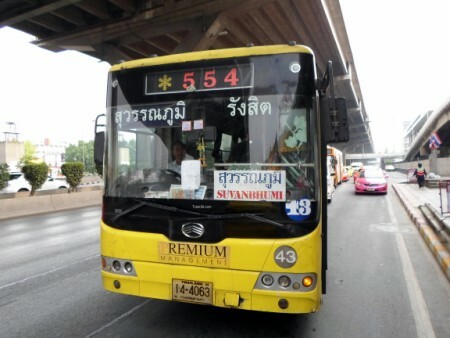 There are two city buses that connect Suvarnabhumi airport to Don Muang airport. These buses are operated by the BMTA (Bangkok Mass Transit Authority) and don't follow the air-con-bus fare system as explained in details in our guide to the Bangkok Bus System. The air-con bus number 555 runs 24 hours. 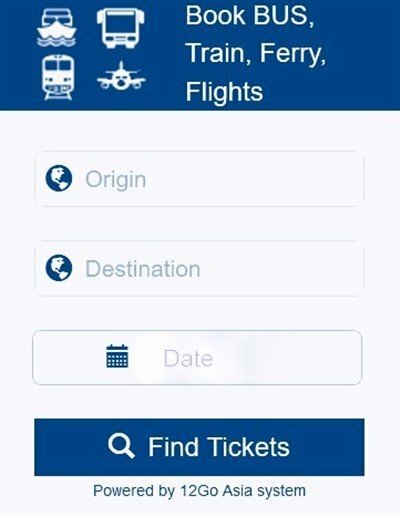 It connects Suvarnabhumi airport to Rangsit and stops at Don Muang airport on the way. It departs every 15 – 20 minutes and every hour from 23.00 to 02.00. The ticket fare to go from one airport to the other is around 35 THB. 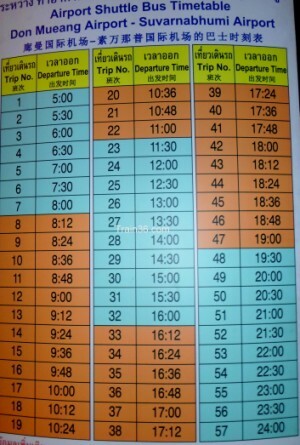 The air-con bus number 554 runs from 04.00 to 22.00. At Don Muang airport these two buses can be boarded at the bus stop located on Vibhavadi Rangsit Road (ถนนวิภาวดีรังสิต). To get to the road go to the 2nd floor and take the pedestrian bridge towards the Don Muang train station and Amari Don Muang Hotel. 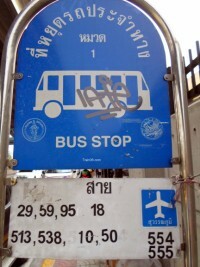 You can also choose to go by the public minibus / van 555 which connects both airports with each other. It runs from 04.00 to 21.00 and the ticket fare is around 50 THB. At Suvarnabhumi airport (like with the buses 554 and 555) the public minibuses / vans can be boarded at the Public Transportation Centre. They also pick up passengers outside the Arrival Terminal on the 1st floor. At Don Muang Airport the public vans can be boarded outside the Terminal 1. 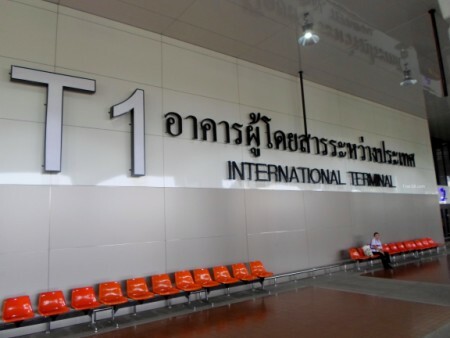 Exit the International Terminal 1 from Gate number 1 and turn right. The van service is located around 100 metres in front of you on the parking lot.